I’ve been pretty busy with offline stuff this week, so this post is going to go out a little late. But one of the things I was busy with today was getting my entry together for the #IAMTSW cosplay contest, and I thought I’d take a moment to talk about why I went with the outfit and picture I did. The outfit isn’t one that I’ve had my main character in lately, but it is one of the outfits I had her in when I was starting out. Technically, she started in the camo cargo pants, but what I wore is closer to the look I consider her “normal” one. Absolutely no one outside of the game knows or cares about that I’m sure; but my point is that this outfit is how I see her. Unfortunately, I can’t find a good shot of her from those early days. The picture at the top of this post is close…but when I started she wasn’t wearing that makeup. I chose the outfit to cosplay because it meant something to me in terms of the game and in terms of me in general – at the risk of TMI, it’s only pretty recently that I’ve been able to fit into those pants again and there’s a lot of real life “Yay, me!” in that. My real life and my game life are kind of wrapped into each other for that one. And the otter? Ok, obviously I have an otter theme going all over the place now, but it actually does mean something special to me. Other than loving otters since I was a kid, the current otter theme really got going as a running thing over on my friend Tyger’s stream. Just one of those things that starts as an offhand comment, a few sent pics, and it turned into this running thing that really makes me smile every time it gets brought up. I met him, and the other folks in the stream, when I was sorting through some really crappy things in my life (not that they’re all completely sorted yet) and the otter thing has gotten me through some really rough days. 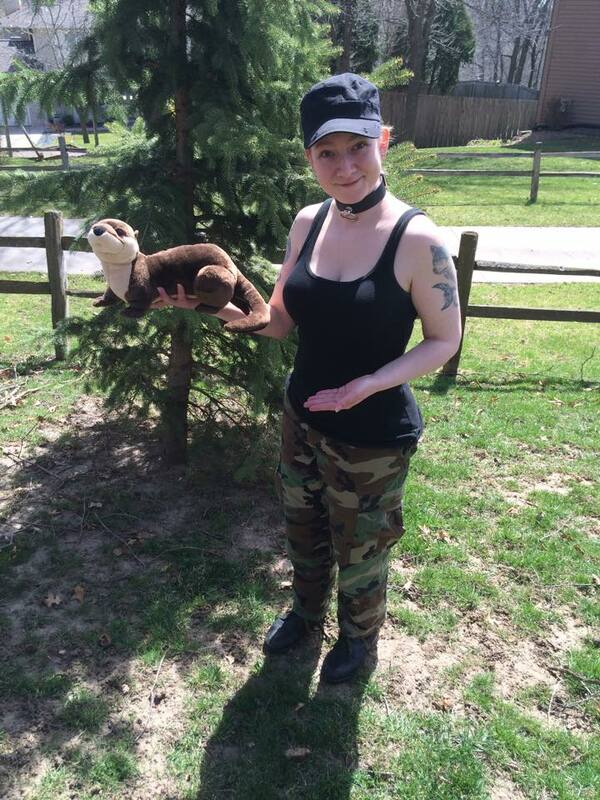 Then I start spending more time with the TSW community and go figure; there’s an otter-themed cabal! Not only that, but the folks in said cabal are super nice, and friendly, and immediately declare me an honorary Otter. I don’t want to get overly dramatic here, but it was such an awesome experience to have people “Hey, we have this in common, we should be friends!” 🙂 TSW tends to have an amazing community in general, but these folks were so kind and welcoming that it blew me away. On the outside, my cosplay entry is fun, and amusing, and a bit of a closet-cosplay since I did have most of it already. But on another level, there’s a reason I was so excited about it. There’s a lot of ingame and offline good feelings represented there.